Whether you need some ideas or a full developed plan we are here to help and offer advice. 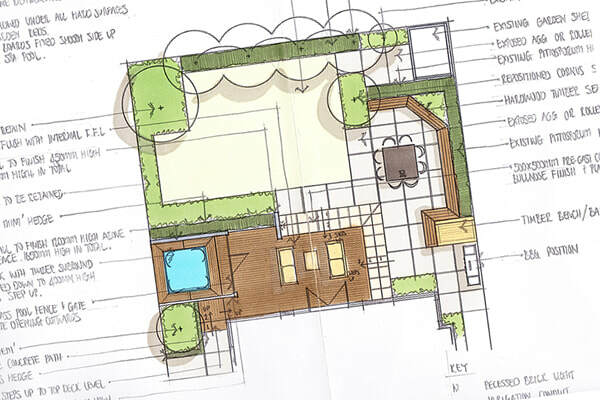 If you make the wise decision to use Yardscape to construct your new landscape design then we will happily refund your Yardscape ideas meeting and sketch to the value of $150. Your refund of up to $199 will be made at the completion of your project and when payment has been received in full. Meet onsite at your place with our talented landscape designer. They will be able to answer any questions that you may have, provide you with ideas for your landscaping and guide you to the next step. This includes everything that comes with an ideas meeting plus the added advantage of a sketch of what your landscaping could look like. 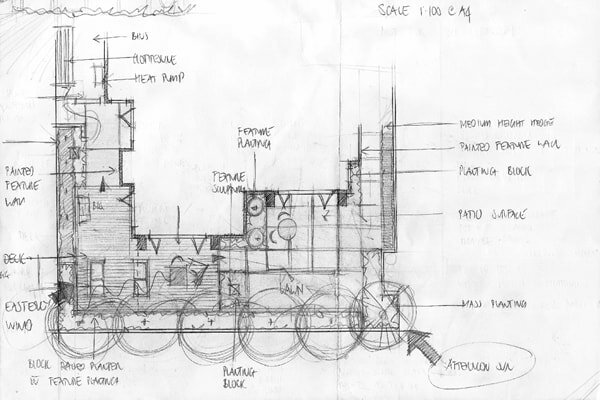 Don't be fooled - a sketch will leave you tingly and impatient to see a concept drawing of your new landscaping. Again you get everything that comes with an ideas meeting and sketch. Once this has been completed we will go away and draw up your concept plan and then organise a second meeting to present this to you for further discussion. Once you have completed the concept plan and you are ready to move forward, we take your concept plan and create a developed plan. This is a plan that allows for the complete and accurate construction of your landscaping project. Dealing with the council, engineers, designers etc can be a headache at the best of times. If you wish we can facilitate this on your behalf ensuring that it all happens as it should to allow for a smooth completion of your project.